Small Grains Silage Whistlestop Tour! 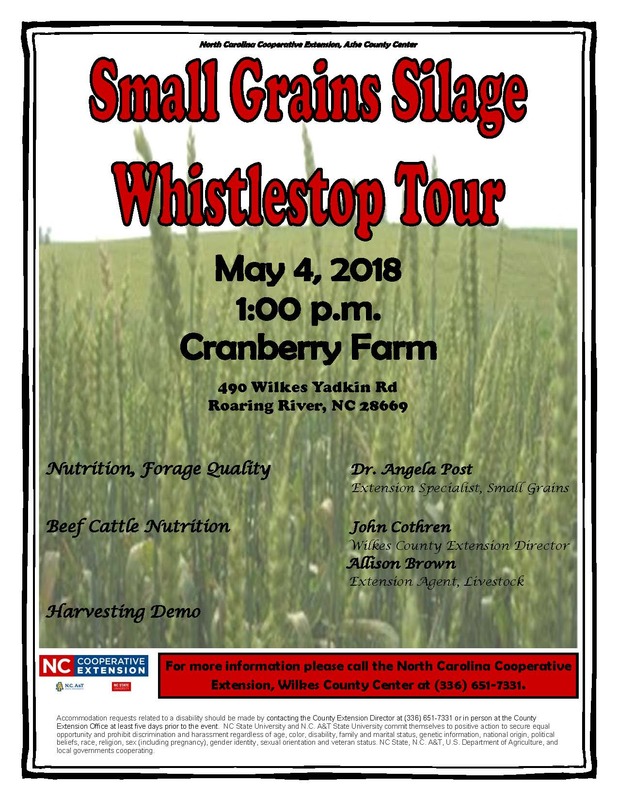 Come join us on May 4, 2018, at 1:00 p.m. at Cranberry Farm. For more information, call (336) 651-7331.